In Doctor Strange, the Cloak of Levitation took on the aspect of an animal sidekick. It was like it was the long-lost brother of Aladdin’s Magic Carpet. And while the Cloak’s personality came from CGI, its design came from Alexandra Byrne. 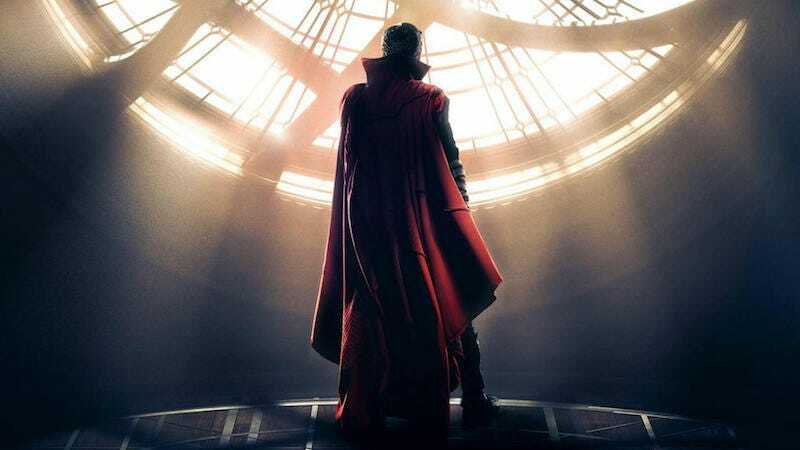 What I’d learned from doing the red cloak in “Thor” is that no matter how much you draw it, a cloak, a cape or anything like it is, in the end, the reality of the draping. So it was very much about making prototypes in the workroom, shapes, and how they would hang. We had a small graveyard of red fabric, because you don’t know really how it’s going to behave until you’ve got it a long way down the road. The cloak itself is a hundred shades of red, there are so many textures and fabrics and shades of material. The original material is a double weave of wool I found at a show in Paris made in Japan, and even the material’s weave has three shades of red in it. The cloak has so many processes. Some of it is frocked with velvet. It’s embroidered. It has various piles in it. Even after it’s all finished, then it goes to my textile department where it’s aged and degraded so it doesn’t look like a new piece of costume plopped on someone; it has a lot more shadow and character in it. And, yes, Benedict did have a good time wearing it. It looks even better like this, when you can stop and inspect all the work, than it does in the film.